Dark garnet in color with a bouquet that is full of dark berry fruit, such as Blueberry, Blackberry and Black Cherry. The round, creamy wine delivers an abundance of the fruit flavors promised by the olfactory. Oak aging has contributed just a hint of smoke to the finish. 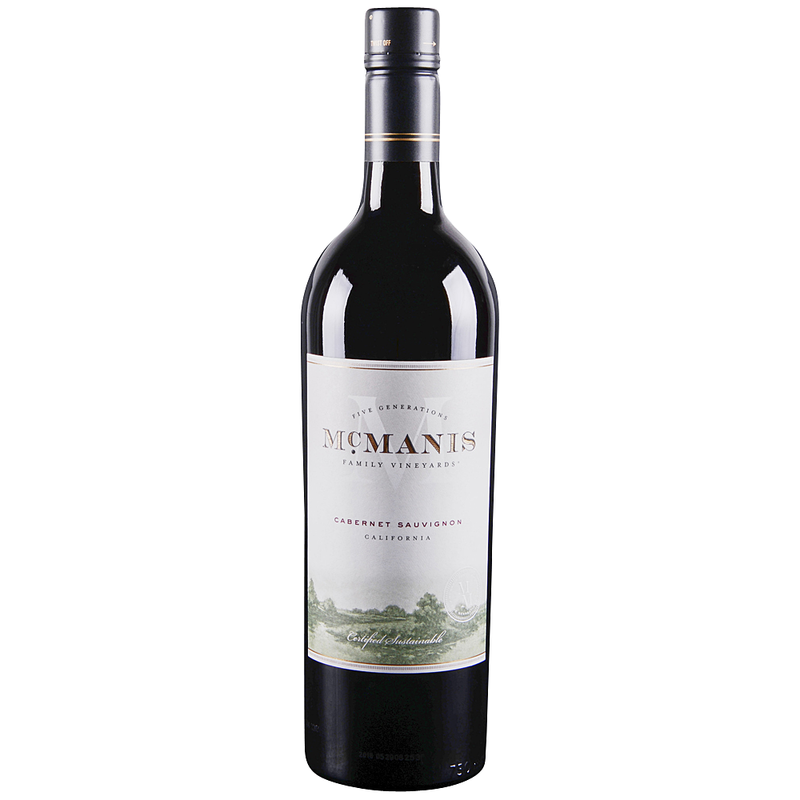 The McManis Family winery, started in 1998, provides the perfect environment to apply “small winery” techniques to winemaking: individual and small lot fermentation and oak aging. This innovative method of winemaking is unique to a winery of this production capacity and produces excellent wines.